Although they weren’t always specifically titled during this season, I created this list based on the sets and themes that were common in following seasons. Ah, the days before having a theme meant that the first puzzle would always be cliched. Thanks for doing this! I look forward to more revelations about 90's-00's Wheel. Now wheelfan82, there are corrections on the dates and the format that corresponds to the weeks. Phoenix Week back in Culver City, February 26-March 1, 1996(the week started out having 2 returning champions, 1 carried over from February 2 and the other from the February 16 Hawaii show). You seem to forget that there was a 2nd mid-season rerun week on April 15-19, 1996 and really, the theme weeks were pretty much nonexistent during the returning champions format and you have this season's theme weeks mixed in with Season 14's theme weeks as well. Thanks for the corrections! When I comprised this originally I was doing it from GSN airings so they also may have aired some out of order. Not sure what you mean about mixing in the Season 14 Theme Weeks though...many of these as I said I just made up the actual theme names based on proper Theme Weeks in seasons following with similar sets. I see, based on the pinpoints at alt.tv.gameshows, all of the Atlanta weeks and the May 27-31, 1996 Salute to the Olympics Week was skipped entirely IIRC. The next thing we can discuss is the Bonus Round records for each week but the weekly BR overall stats date back to Season 7(the season that introduced new sound effects packages and the returning champions format and the drumroll during the bonus round was dropped). I do recall at least one of the Atlanta Weeks airing on GSN...I’ll have to go back and check my tapes at some point soon. Did you say you have some Season 13(1995-96 Season) Wheel of Fortune episodes on tape? 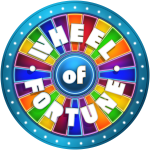 Would you be okay with recapping some of the Season 13 Wheel of Fortune episodes you have not yet recapped on this message board on the Classic Wheel thread(the 90’s wheel episodes section) if it’s okay with you? I’ll understand if you don’t want to. Yes, I have almost the whole season...I dont Really have time to do recaps at this point unfortunately...possibly sometime in the future though. I understand completely! I love classic episodes of Wheel of Fortune but I now also understand if you’re unable to upload or recap them it’s because you’re to busy in life to do so. Or it could also mean you just don’t want to at the moment or at all. Does anyone remember if there was a wrestling themed week? Don’t think there ever was. You wouldn't happen to have any stats or interesting facts about Double Play uses, would you?